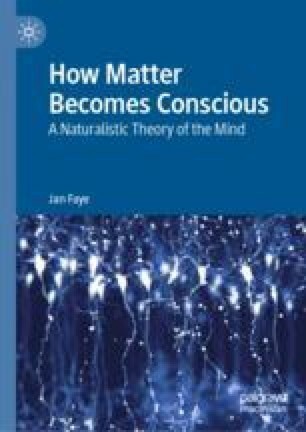 This chapter outlines a naturalist view of the mind from simple sentient organisms to very complex self-reflective organisms like human beings. The existence of nerve cells are a biological precondition for having sensations. In general, the discussion distinguishes between sentient beings, conscious beings and self-reflective beings. The most primitive sentient beings respond generically to various sensory stimuli and behave according to some pre-established genetically inherited patterns. Later, through natural selection, more complex sentient beings evolved with the ability to present their environment in the form of “experiences.” Conscious beings are organisms that are able to form concepts and think about their own experience. Therefore, conscious beings can learn from their own experiences. Finally, self-reflective beings are those organisms that know that they know and can reflect about the consequences of their behavior with respect to themselves and other beings.